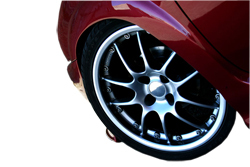 Everyone who is impassioned by their automobile strives for the highest standards in their vehicles appearance. we want our vehicle to turn heads, to seduce people, WE WANT THE WOW! FACTOR! Seven years ago, we began our search for automotive products that surpassed anything that was available in the UK. Our search eventually led us to America, the worlds largest and most discerning automotive market. There, we discovered a range of products so technically advanced, they produced results that exceeded our highest expectations. For two years, we trialed and tested the products under the most gruelling of applications. The products proved themselves without fail! At last, we had found the grail, an automotive elixir that left the vehicle so shiny, the paint appeared to be wet. And there are other advantages too, the polish creates a surface that is totally impervious to tree saps, bird droppings and acid rain. It also contains UV filters that will prevent the vehicles paintwork from fading. 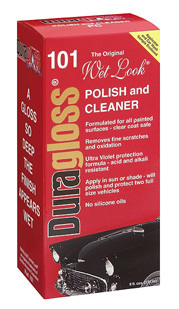 Because of the polymeric structure of the polish, just two ounces will cover a medium sized vehicle and here's the clever part - the polish only needs to be applied twice a year for total body work protection! Only now will you begin to understand why our quest was such a journey. In 2003, we proudly accepted the appointment as sole UK and European importers and distributors for the Duragloss Product Range. Duragloss is manufactured by the Brothers Research Corporation, which was formed in 1973 by two brothers, Dr. William & Dr. Jerry Bailey, both esteemed chemists, both devoted automobile lovers, both totally dedicated to their search for the grail. It is the only car care range that guarantees its products and will refund your money in full if you are not pleased with your purchase. It is the only car care range that is distributed by people who are technically able to advise you on product applications and who love automobiles.